Otuoma gave 48 hours to be handed over the ODM Nomination certificate or else unlimited Demonstrations. - Bana Kenya News, Real African Network Tubanane. Home featured News Otuoma gave 48 hours to be handed over the ODM Nomination certificate or else unlimited Demonstrations. Otuoma gave 48 hours to be handed over the ODM Nomination certificate or else unlimited Demonstrations. 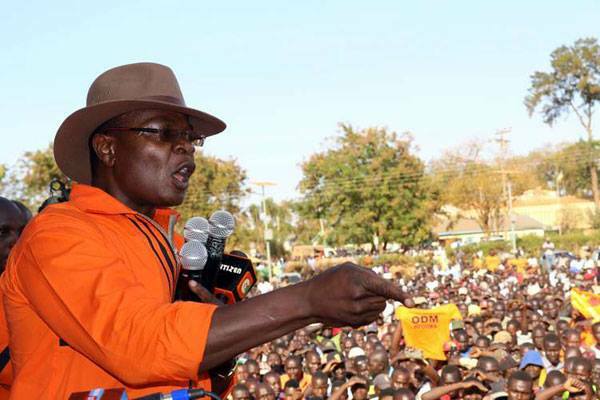 The Busia Gubernatorial Aspirant Paul Otuoma gave the ODM election committee and the secretariat only 48 Hours to hand over the nomination certificate to him or else he will mobilise people in the county and protest. 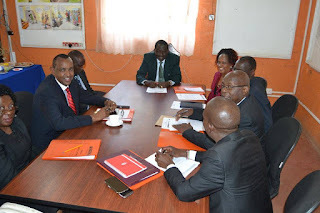 He gave 48 hours to be handed over the ODM Nomination certificate or else, will mobile demonstrations and riot across the county to destabilise the current governor Sospeter Ojamong. The Busia ODM Nominations resulted to the conflict after the current Governor Sospeter Ojamong was allegedly rigged the nomination polls. According to the ODM officials, the Nominations were faced with a lot of irregularities and then exercise will be repeated. The ODM chairman in the area handed over the interim certificate to the incumbent. The handing over of the certificate added more fire on the Paul Otuoma base. Since yesterday, the area has been full of demonstrations from both bases following the Nominations irregularities. The governor's camp says it was correct for the ODM official to over the certificate to the incumbent while it's contrary to the other Mr Otuomas' base. The ODM team is looking forward to overhauling the gubernatorial nominations regardless of the tough talks in both camps. Both aspirants are ODM allies and friends to the ODM Leader Raila Odinga. The next nomination polls will be expected to be conducted on 25th April 2017.